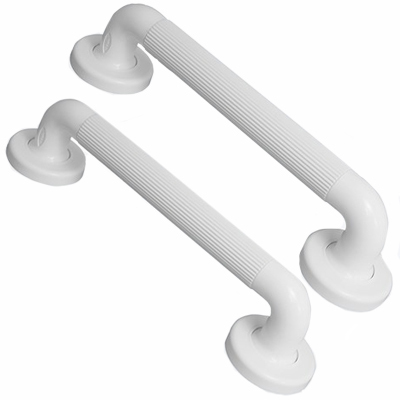 This Grab Rail Pack Consists of Two Grab Rails In White. 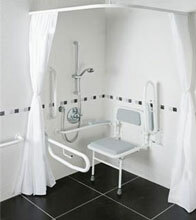 All of our grab rails are aimed at aiding people getting around on their own safely and independently. We sell to general public, businesses, nursing homes and commercial places. This Grab Rail Pack Consists of Four Grab Rails In White. All of our grab rails are aimed at aiding people getting around their own environment and elsewhere safely and independently. We sell to general public, businesses, nursing homes and commercial places. Delivery - As soon as you place an order your goods will be shipped out to you as soon as possible. Normally 3 - 5 working days depending on stock and availability. A pack of plastic fluted grab rails ideal for your home or for commercial places and businesses. Get the right grab rails that suit your needs!